The perfect neutral position of the body. The embryo in the mother's womb is the beginning of the perfect posture, where all the energies can flow freely, to build a perfect body. (For further explanation, see Chart No. 5 in "Energy", page 49; Chart No. 10 in "The Mysterious Sacrum", page 42; and page No. 9 in "The New Energy Concept". 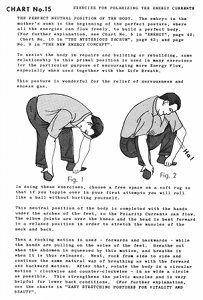 To assist the body in repairs and building or rebuilding, some relationship to this primal position is used in many exercises for the particular purpose of encouraging more energy flow, especially when used together with the life breath. 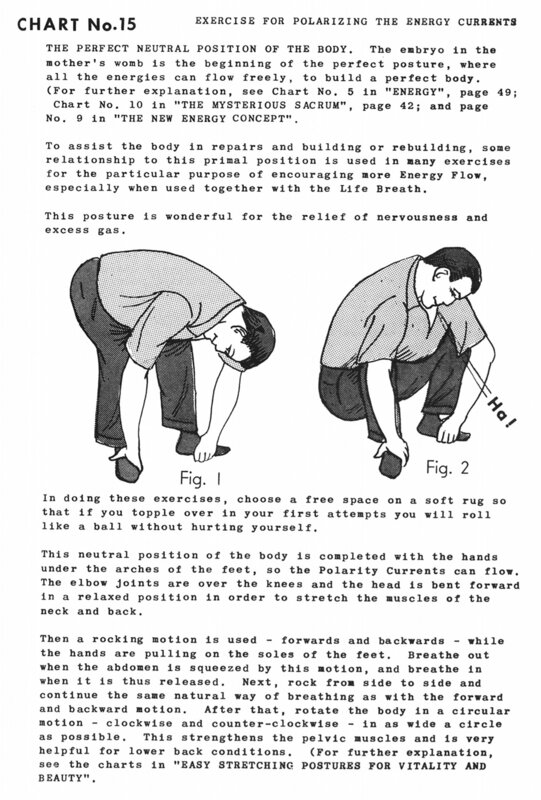 This posture is wonderful for the relief of nervousness and excess gas. In doing these exercises, choose a free space on a soft rug so that if you topple over in your first attempts you will roll like a ball without hurting yourself. This neutral position of the body is completed with the hands under the arches of the feet, so the polarity currents can flow. 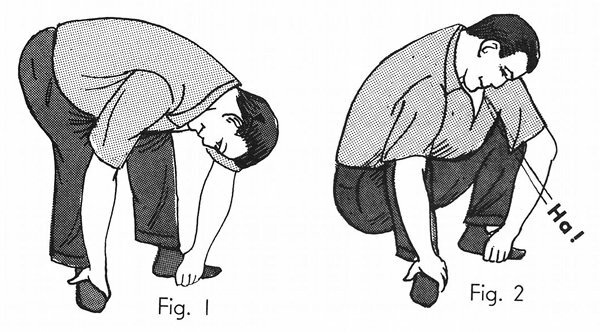 The elbow joints are over the knees and the head is bent forward in a relaxed position in order to stretch the muscles of the neck and back.